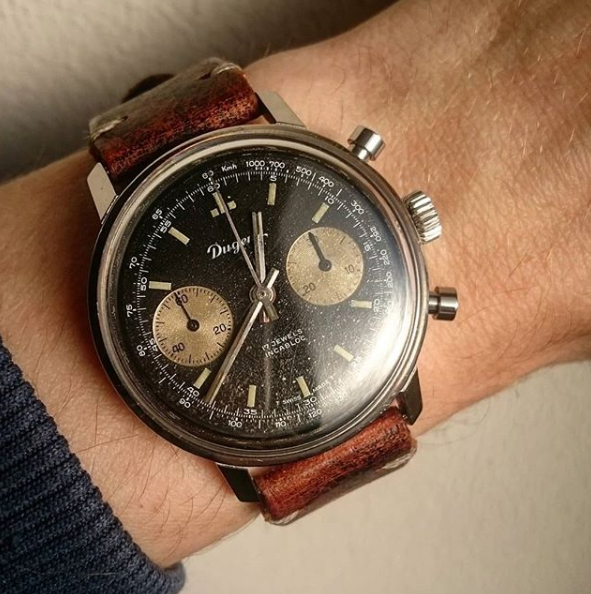 I have this Dugena reversed panda chronograph for sale. It is the same as the sought after Vantage chronographs. It has an amazing stardust dial. The stainless steel case measures 37mm without the crown. This is a bit bigger than most chronographs of that era. The landeron 248 movement is keeping time and the chronograph is functioning fine. It comes on a new black leather strap. I'm looking for 500 euro including world wide shipping.